There are certain things that make a place one of your favorite places to ride. Something to give the riding experience a bit of a unique feeling. Perhaps an unusually beautiful view or maybe a section of trail that raises your heartbeat into the turbo zone. 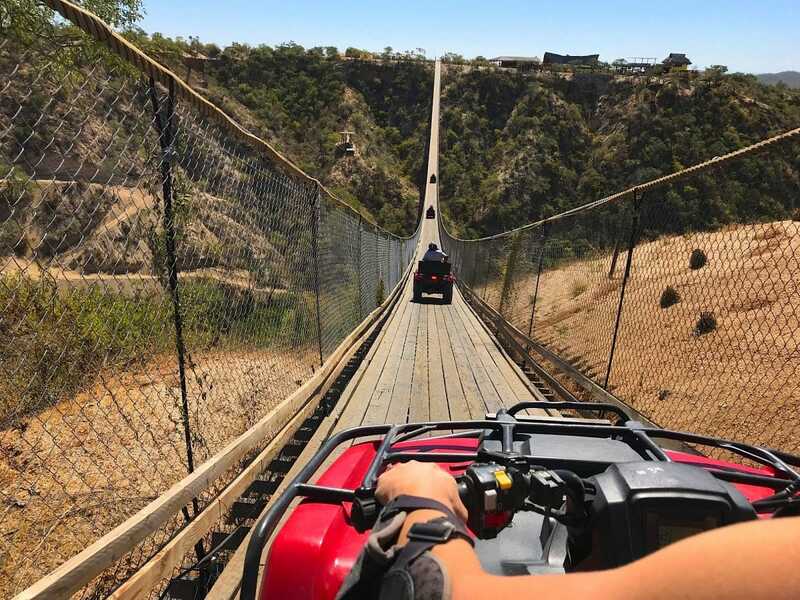 Having to connect the trails by riding across a bridge like this would certainly give you a rush. It’s not unusual to come to make-shift bridges on a trail to help you get across a deep creek or a big ditch. However, this one here definitely required more effort than nailing a few two-by-fours together. In fact, its long length and high distance above the canyon took considerable time and engineering to pull off. The entire integrity of the bridge is based on four cables stretched across a wide canyon and anchored into the ground on each side. That would mean it has a bit of swaying motion as you’re making your way across, especially while riding a quad or UTV. One might call that kind of scary, while others would label it as fun. 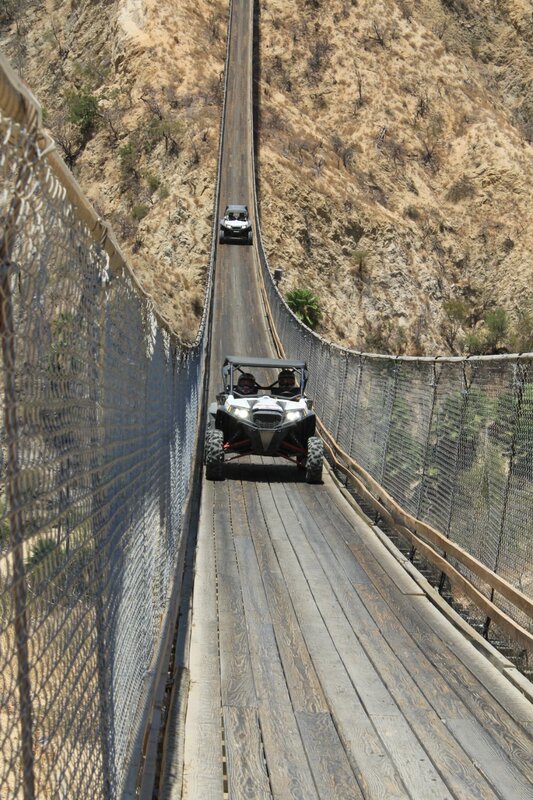 When it comes to unique bridges for ATVs we would put this one in the top percentage of those we’ve seen. Where is it located, you ask? It’s at the lower end of Baja, Mexico near the town of Cabo San Lucas. 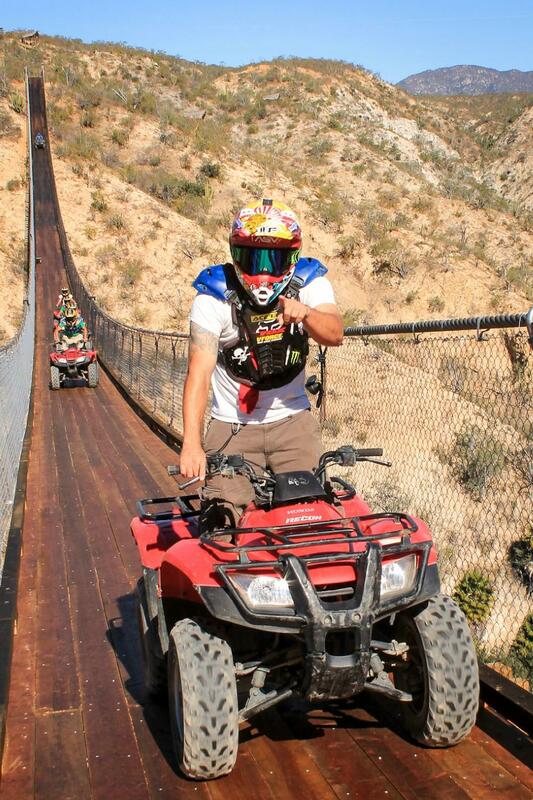 A thousand mile drive from San Diego is a long way to trailer your quad to ride across this bridge, but fortunately you can fly to Cabo and rent a quad there. 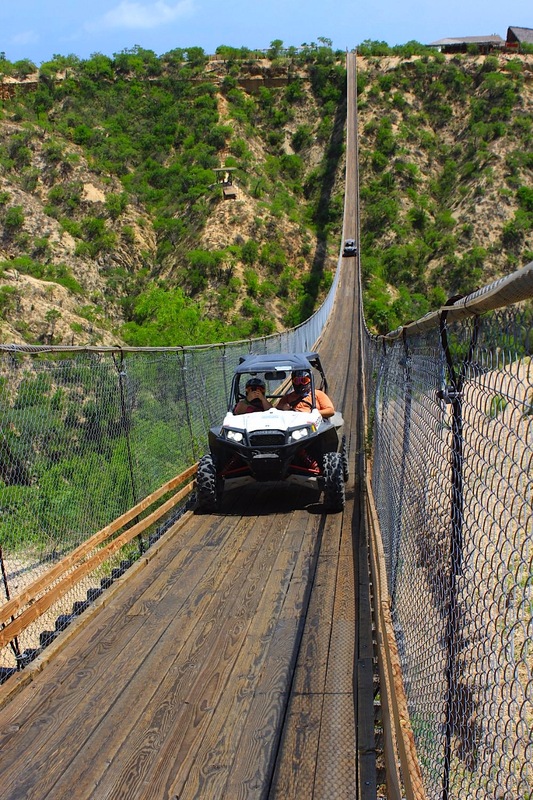 The bridge is part of the Wild Canyon recreation area that caters to tourists. 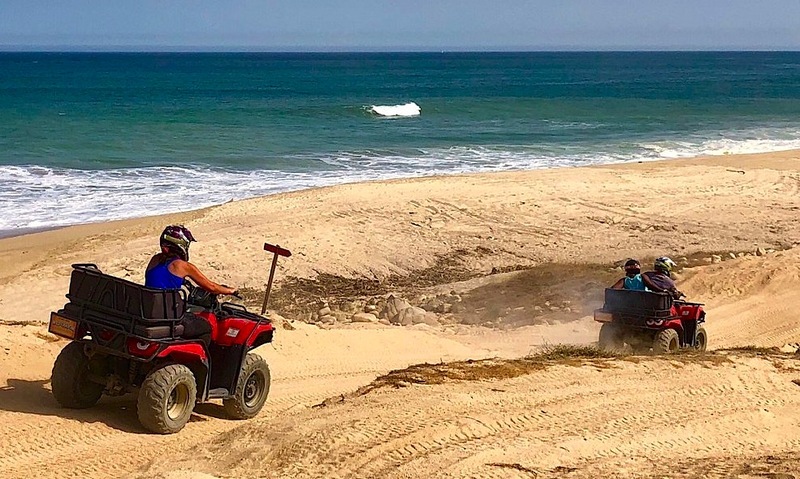 They offer up a fleet of quads and UTVs for group rides through the canyons and out to the Pacific coast where you can roost along Baja beaches. 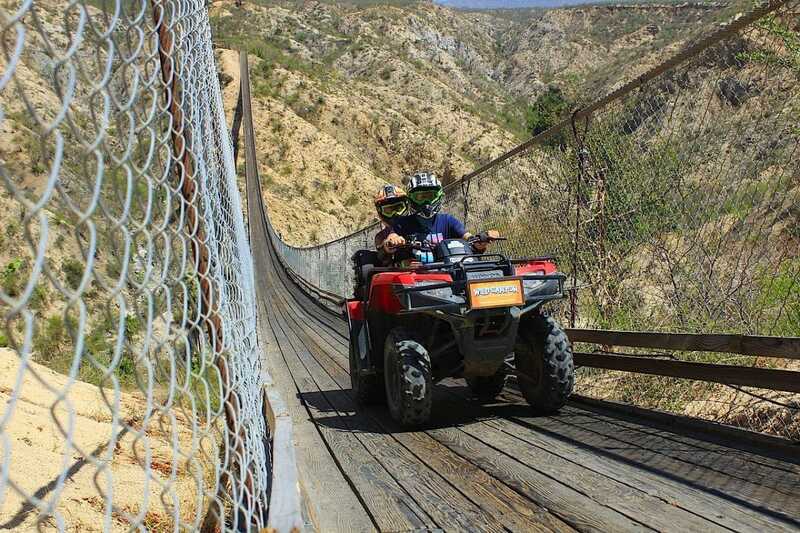 Wild Canyon also has zip lines, bungee jumping, camel rides, an animal kingdom and sailing. It’s an interesting place to check out if you ever go to Cabo. 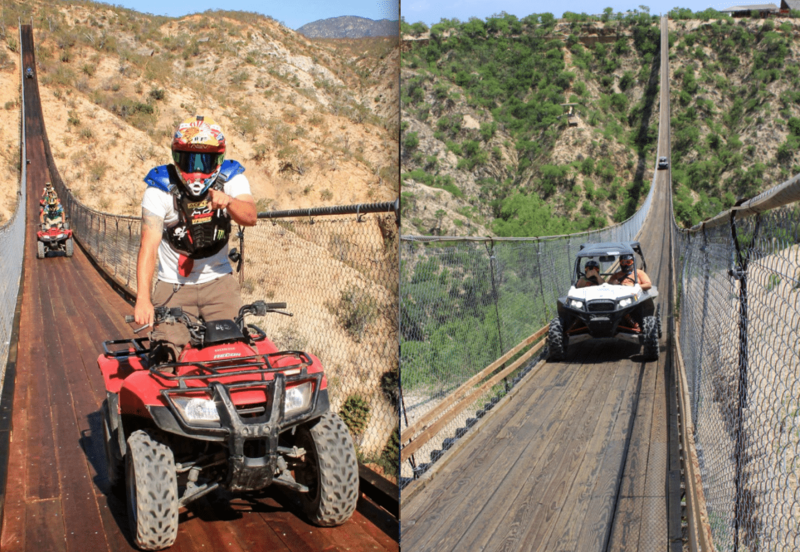 You can just head over to Wild Canyon if you get an itch to ride during your vacation. Don’t expect to be able to hop on a Banshee or 450R, though. 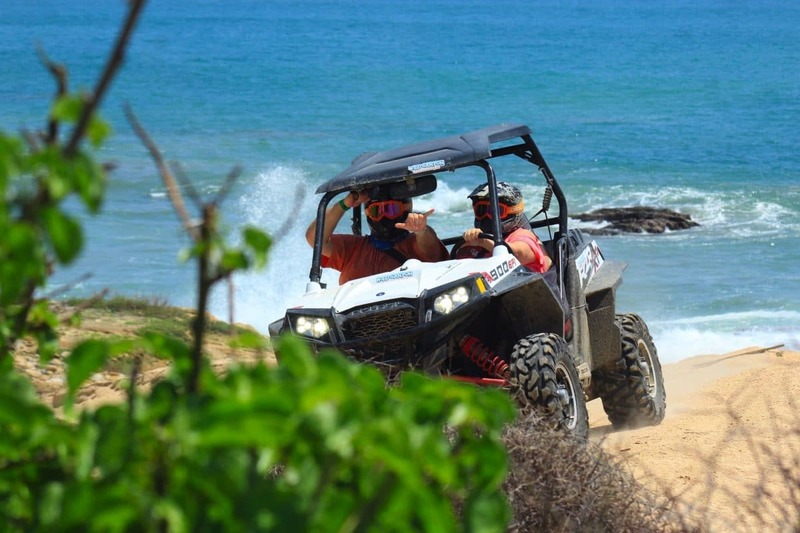 Like most tourist ATV tours, the selection of quads are Honda Recons and such. 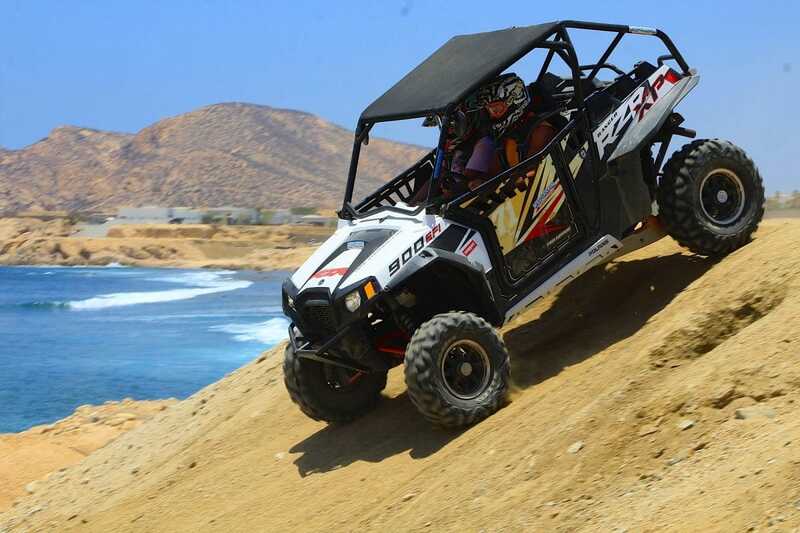 For UTVs however, you do have the choice of RZR 900s. 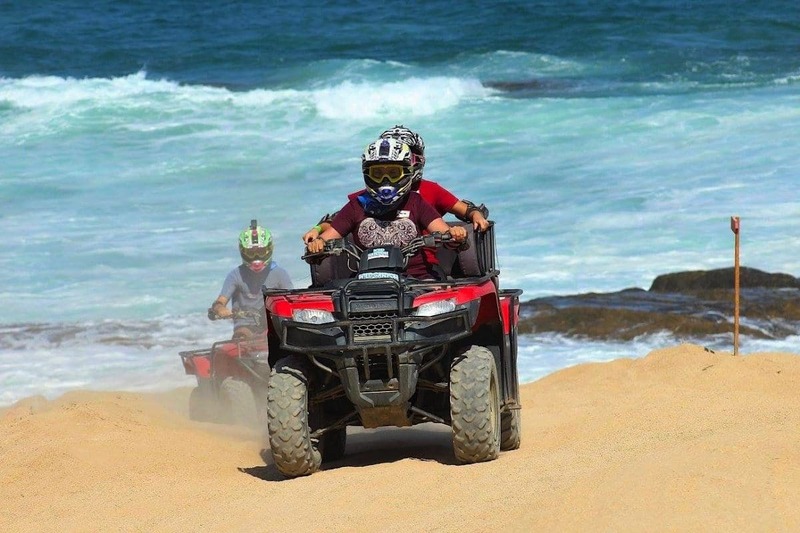 For our Dirt Wheels travel advisory we need to inform you that prices differ somewhat in Baja depending on if you’re in the northern or southern area. 60 miles from the US border is Ensenada and the rates for a motel room there are quite reasonable. The same can’t be said for Cabo. This tourist town at the lower tip of the peninsula can be very pricey. The good news is you can hang out at Wild Canyon without spending too much. Riding for several hours on a quad is listed for $110. The UTV tour is $175. There are also package deals that include several of the activities and attractions.